Discussion in 'General Discussion' started by Admin, Jan 11, 2019. BBQ.Uncle, BUMPA01603, W.E.C and 2 others like this. Amen!! What a bad guy!! To be frank, I don't care if the sheriff is white, black, blue, purple, or silver, as long as he in no way resembles the character of that outgoing deep state buffoon! EzGoingKev, 40 caliber, Energizer and 8 others like this. Good, he should have gotten the boot already. I can't find all that much about the new guy but here's an article interviewing Tony regarding training for active shooter situations. Here's the 16 articles he posted on LinkedIn. Gives a little insight. But on a lighter note, the only thing I can think of is the old movie "BLAZING SADDLES"
Jason Flare, Arto, Garys and 1 other person like this. Winning in the gunshine state. Next, repeal the crap waiting period law,and the 21 age limit law. Hoggboy ,the parkland punk has been exiled to Cambridge, the last refuge of a scoundrel. (former) Sheriff David Clarke? I wish! ridleyman and Choctaw like this. So what kind of men will step on a podium of fresh corpses to push the favored liberal cause for gun control? And speaking of 'rats', in upcoming political investigations there will certainly be some who will rat out others to save their own skin and/or gain some notoriety. It could get interesting, so remember this post and the names mentioned in the above articles. Well, I'll sleep better tonite. Jack. Israel...what a clown with 4 stars on his collar. The perfect candidate for being handled by fast and furious type schemers , to make a political point at the expense of the lives of the local students. Or shoot up a country music concert. Gregory Tony is the new Sheriff, or at least the interim sheriff. Former Sgt. with the Coral Springs PD, so he knows the area and probably knows about the clown show that is Broward County SO. I still don't know what the hell they were thinking when they elected that New York scumbag to begin with. If you have not read this, take a few minutes. xjma99, Aaron[MA], boscru and 3 others like this. Good riddance to bad rubbish. 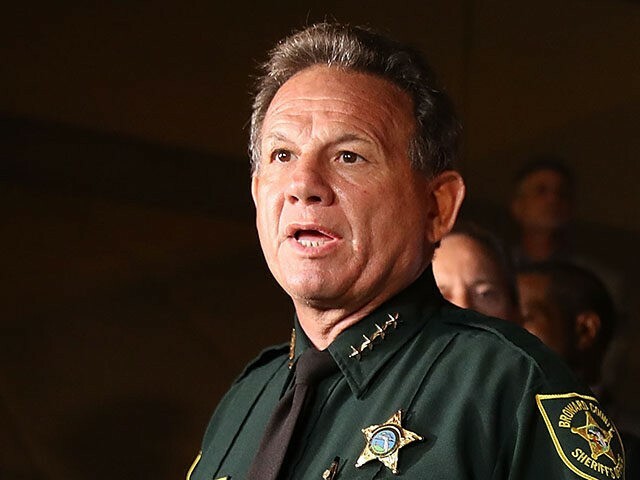 The Parkland fiasco proves that the tragedy was a result of incredibly poor law enforcement, failure to act on multiple warnings that the shooter was dangerous, not to mention the disgraceful behavior of the "Broward Coward", A/K/A Scot Peterson. Of course the gun-grabbers tried to blame the rifle, the magazines, etc. Time to reverse ex-Gov. Scott's knee-jerk-reaction laws and restore the rights of law-abiding citizens. I was unaware that color had anything to do with it. The outgoing Sheriff should lose his benefits and go to jail. falcon123 and xjma99 like this. Bye, bye, Chief of the cowards of Broward County! That's the doctrine, but it's not what happens in many cases. The other part is that EMS should be sent into the "warm" zone as soon as possible. That didn't happen here and didn't happen at LAX in 2013 either. I don't recall if it happened in Orlando at the Pulse. It's not limited to Parkland, but this example being caught on audio and video was particularly egregious. Broward has a large population of retired Yankees, which is why it's so heavily Democrat. They'd elect a politician with a badge over a real LEO. Gun control is both unconstitutional and immoral. The PD in Orlando kept the EMT's away, even when they were begging to go in and get started. You sounded taller on the radio? Roger Stone front and center in the Dem's witch hunt. So far he is keeping his mouth shut and I'd be surprised if the Dems have the smoking gun they want that would give them leverage over Stone. Stone's arrest was an embarrassing side show that won't rattle someone of his experience. As others have mentioned they could have simply made a phone call and he would have appeared. It may have been for the benefit of later scraping up one of his less experienced underlings so see what kind of dirt can be squeezed out. Clearly the Dems fully control the DOJ and FBI, both of which are willing to do the Dem's political bidding such as planning and implementing a circus act involving 17 vehicles on Stone's street, 2 amphibious units in the canal behind his house, and ~30 heavily armed agents. How big was the team that got Bin Laden?